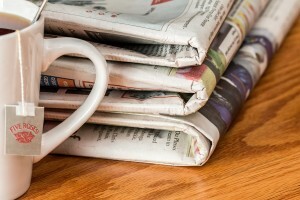 Are Readers to Blame for Sensational Journalism? Shortly after the election, a young woman I know requested help with a media ethics class assignment. Her task was to find examples of bias in the news that was of concern to readers. Since this is someone I am fond of and the topic is in my field, I was happy to help. Besides, remembering that I saw quite a few stories that would fit the description, I thought this would be easy. It wasn’t. The challenge was that the articles in question had to be “news” stories. Opinion pieces didn’t count. I did a quick search on controversial topics and realized this was going to take a while. I tried to narrow things down by thinking back to which stories particularly irritated me and searched those topics. As it turns out, the ones I remembered were opinion pieces. Undeterred, my next strategy was to go directly to the news sources traditionally thought of as biased: Fox, CNN and the New York Times. (To clarify, I used the online versions of these outlets in my research.) To my surprise, when scrolling through the news departments of these publications (and others as well) all the stories I found were objective and based on solid journalistic principles. The inflammatory, biased statements were in the opinion section or woven into feature pieces. Having been critical in the past of modern day media and the seeming lack of journalistic integrity today (what happened to the concept of confirming a story with three sources), I was happy to see that this is not in fact the case. So then why the disconnect? Why is the general view that the media is biased and cannot be trusted? The answer is simple. News outlets are businesses. Sensationalism sells. The more outrageous, the more negative the headline, the more attention the story gets. As readers, we don’t always want what is true, we want the latest gossip. We don’t share the feel-good news (unless we have a direct connection); we talk about the catastrophes, the violence, the scandals. This has always been the case. I remember as a child hearing, “All you ever hear is the bad news.” Again, why are we certain that the media has changed? Why do so many say it is corrupt? As I discovered, the big news outlets continue responsible investigative journalism. They search for the truth and report on it. Sometimes they get it wrong; reporters are human after all, and when they do, retractions are provided. Of course with the way we consume news today, sometimes the damage has been done. In today’s world, the responsibility to check facts is more important than ever, since information and worse, misinformation spreads at lightning speed. Perhaps this is where the problem lies. We simply have too much information at our disposal. This should be a good thing, but we are not using our resources well. We need to be more discerning about what we accept as fact. We need to stop and think before we react. We need to question outrageous stories before we spread them. Although there have been numerous articles that list reliable (meaning objective) news sources versus right- or left-leaning sources, being selective about the news agency isn’t enough. We also need to look at the section each story is placed in. The First Amendment of the U.S. Constitution guarantees us a free press. That does not mean that it costs nothing. Saying our press is free means that our news is unfettered. The government does not control the press. This is intentional. The press is and should be separate from the government. Of course this has caused consternation and embarrassment for some politicians, but it is part of the system of checks and balances that we have come to depend on. To maintain the independence of the press, it is not government sponsored. However, someone needs to pay the bills. As consumers, we need to shoulder some of the blame for the state of the media today. Which stories do you click on? Which do you share? Which outlets do you financially support? Sometimes you get what you pay for. < Previous What Would Our Revolutionary War Veterans Think? I blame the media for treating the presidential election like a reality TV show badly in need of canceling and the readers/viewers for gobbling it up and for panting for more. Ugh! What a disaster!